The Coup have been churning out songs that are rooted in socio-political issues and, at the same time, are incredibly dance-y for over two decades. 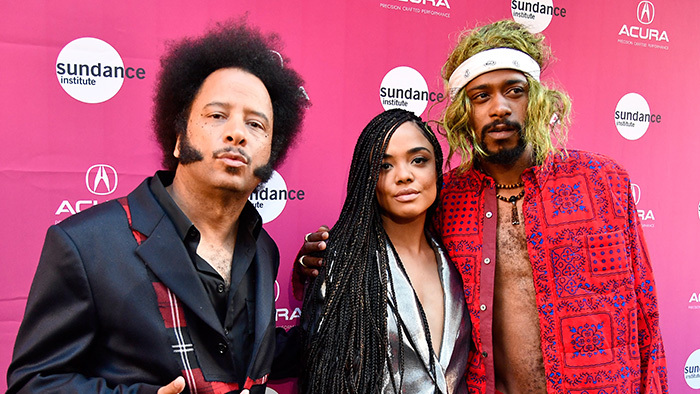 Boots Riley, frontman for the hip-hop group, recently made his feature film directorial debut with Sorry To Bother You, starring Lakeith Stanfield of Get Out and Atlanta fame. The first single from the film’s soundtrack, “ OYAHYTT,” is out now and it features a rap verse from Stanfield. Sorry To Bother You shares a name with The Coup’s last album release circa 2012 and it hits wide release today after opening in select theaters. The film also stars Tessa Thompson, Armie Hammer, Terry Crews and more. “OYAHYTT” is edgy, with kick-down-the-door vibes, and you can listen to it below. Riley’s film carries on The Coup tradition of questioning the man, centering around themes of labor and capitalism. Stanfield’s career is upward-bound; he plays the endlessly entertaining and idiosyncratic Darius on Atlanta, which just earned 16 Emmy nominations, including a nod for Best Comedy Series. Listen to “OYAHYTT” below, watch a 2008 The Coup performance from the Paste archives further down and check out Paste’s Sorry to Bother You review right here.